I’ve been thinking a lot about buying fabric lately – where I shop and how I can spend the least. I’ve got a bit of experience in fabric shopping now, and I’ve worked out a few little tricks on the way. Here are my top tips for making the most of buying fabric on a tight budget. From what I’ve discovered over the years, you NEVER have to pay full price! Check their website before you go. Have a look at current catalogues and check for any printable coupons. Write a list of what you need. So many times I’ve gone to the fabric store and been immediately distracted and forgotten one or two crucial items. 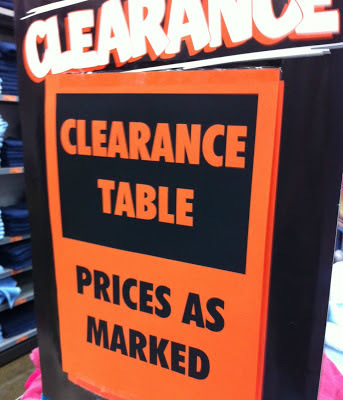 Start at the clearance section.Some days you won’t find anything you like. Other days there will be heaps of awesome bargains. Go on the first day of a sale. That will maximise your potential to find something that suits your style or project. If the sale runs for a week, chances are all the great stuff will be snapped up in the first couple of days. 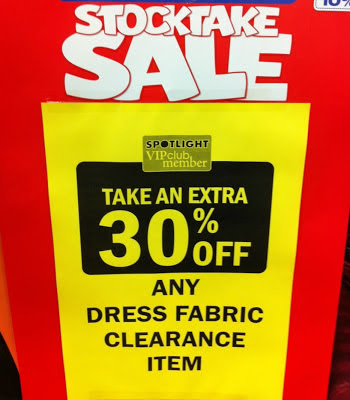 All the new stuff for clearance will have just been discounted. Sign up for a store card. A store card often gives the card holder additional discounts to reward regular customers. Sign up online. Join their online mailing list, like their facebook page or follow them on other social media. You’ll be first to know when the next sale is happening. Subscribe to their newsletter. Most online and smaller fabric stores have newsletters they send out regularly. They often include details of discounted fabric ranges, coupon codes and details about free shipping. Follow them on social media. Online fabric stores and small businesses don’t have the big budget of the well known large chain stores. They often use facebook, twitter and even instagram to promote their new stock and sale items. Save up and make a large order. Many online stores will do free shipping for larger orders over a certain value. Not sure? Ask. Smaller stores rely on a high level of customer service – that good service will keep customers coming back. If you are looking for something in particular, send them an email or call them. Most will go out of their way to help you. Many of them will be fabric lovers themselves and will have really in depth knowledge of their products. Visit regularly. Thrift stores like to have a quick turnover. Items will come and go and you need to be around to pounce on that lovingly laundered vintage sheet that someone’s Grandma has kept since the 1960s. Prioritise stores with direct donations. Many of the larger charities with several outlets have a central donation depot and stores are allocated clothing and linen by weight. Chances are that the good stuff has been picked out well before it arrives at the store. The real gems are more likely to found at smaller stores attached to churches and in small towns, where donations come directly from local people. Chat to the volunteers / employees. Tell them what you are looking for and what you’d like to do with it. They know what has come in and they can show you what they have. The ladies who volunteer at my local Baptist Church thrift shop now ask me to show them pictures of what I’ve made lately! Sheets, pillowcases and duvet covers – vintage bedl inens are great for their good quality fabric and for their pretty floral and retro prints. The yardage in sheets is brilliant. Plain colours are great for muslins and making something for the first time when you are not too confident. Also great for linings and facings – elements of a garment you don’t see but are against the skin. Old sheets have usually been washed over and over, so they are lovely and soft. Craft and Haberdashery: All sorts of bits and bobs usually get thrown into one basket or onto one shelf somewhere in the store. 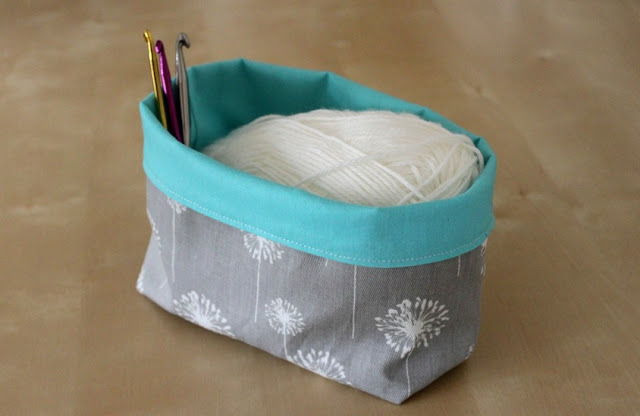 This is where you will find patterns, buttons, zippers, thread and endless other handy things. If you can’t find this stuff, ask for it. It will be there somewhere. Books: Pattern books like the famous Enid Gilchrist books, and big sewing bibles like the ones by Reader’s Digest can often be found in the books section. Clothing: Large tees and shirts have enough fabric to make a child’s garment or a smaller adult garment. Large t-shirts are particularly good for knit fabric for kids clothing. Adult jeans are perfect to upcycle into kids jeans. Napery – tea towels can make fabulous cushion covers and tablecloths can be made into skirts, or whatever your heart desires! Look at seasonal clearances. It’s winter here so stores are starting to sell off their winter stock to prepare for next season. 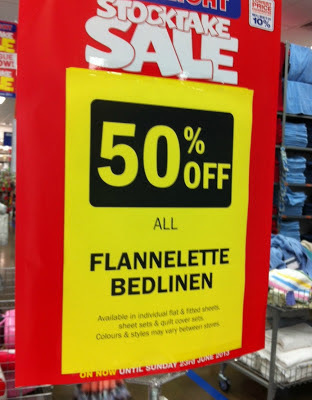 I’ve noticed that flannelette sheet sets are heavily discounted – perfect for next years winter pjs! Craft stores are also having big yarn sales – great for knitters to build up their stash. Christmas clearances are always good to pick up some bargains for next year! Always browse the bedding / manchester departments. So much yardage in bed linen! Many are cotton / polyester blends so check the labels and see if you are happy with it. Stores are increasingly selling jersey knit sheeting which is great for making kids clothing. As I’ve mentioned, flannelette sheeting is great for pjs. Cheap pillows are good to cut open and use the polyester stuffing for softies and dolls. Check the bathroom department. Towels are great for kids robes, backing for burp cloths and small hand towels are perfect to embellish for small gifts. There are always towels on clearance. Shower curtains are handy to use as lining for make up and toiletries bags, or to make tote bags for swimming at the pool or beach. So that’s it! I hope some of those tips give you some good ideas. I bet some of you have some great tips too! I’d love to hear them – leave a comment! I try my best to be frugal when it comes to fabric and have one or two vintage sheets in my stash. So how on earth did I not think of using a shower curtain for lining! Definitely a tip that I'll be using. Some other really good suggestions in there too – thanks. Great tips Ros! I can never go anywhere without a list anymore, and even with one sometimes I get distracted by the kids and forget something! Amazing compilation of tips Ros! I agree with all. 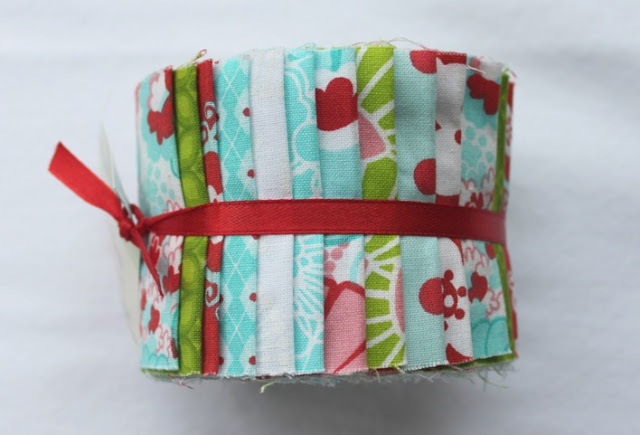 One thing I haven't done yet is save my pennies for a fabric.com order! Wool blankets make a great filler for a really heavy quilt. Great tips Ros. If only I found it so easy. I can only fabric shop if I have something in mind and if I can't find it, I'm disappointed. Bit like jewellry or clothes shopping for me. I can't just look at something and buy it because I like the look of it. I wish I was more like that. I've looked at online fabric stores before and I just go round and round in circles, wondering if I should just buy something for the sake of it because I can't find what I'm looking for. Oh dear! Do you have any favourite online stores you can recommend? Hi Anne! That is probably a good thing – no point buying something if its not quite right. That said, I seem to like so many things, I buy them and pop them in my stash, just waiting for the right project to come along! Some popular fabric ranges often sell out and become unavailable so if you love something it's always great to buy a metre and put it away. 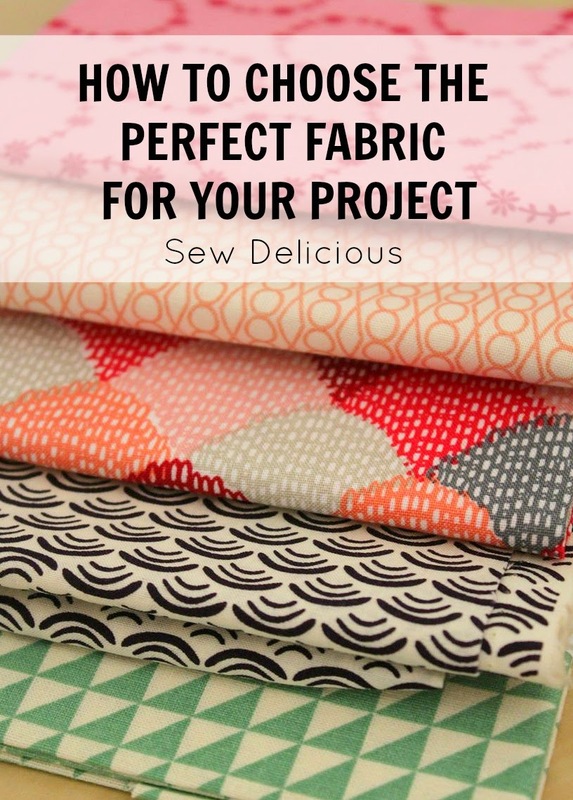 A good one you might like is Fabric Fusion – they are in Brisbane so you can visit them, but they sell online too – check the link in my sidebar. I also use big stores like fabric.com and Hawthorne Thread if I want certain things, but I'm doing orders through them less and less as postage to Australia increases. Great tips Ros, thank you! Sometimes here in the U.S. people will sell clothing at garage (rummage) sales for so much ($) per bagful. They provide the bags and however much you can stuff into a bag you get for that set price. 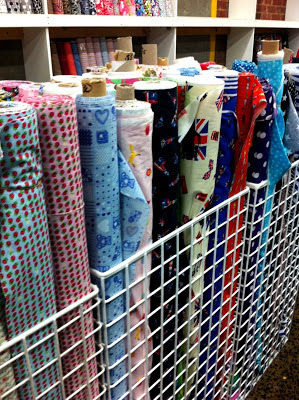 I have found some very nice fabric in the form of clothing for quilting and crafts at such sales. Just be sure to choose things that are new enough to provide good quality fabric for what you want. 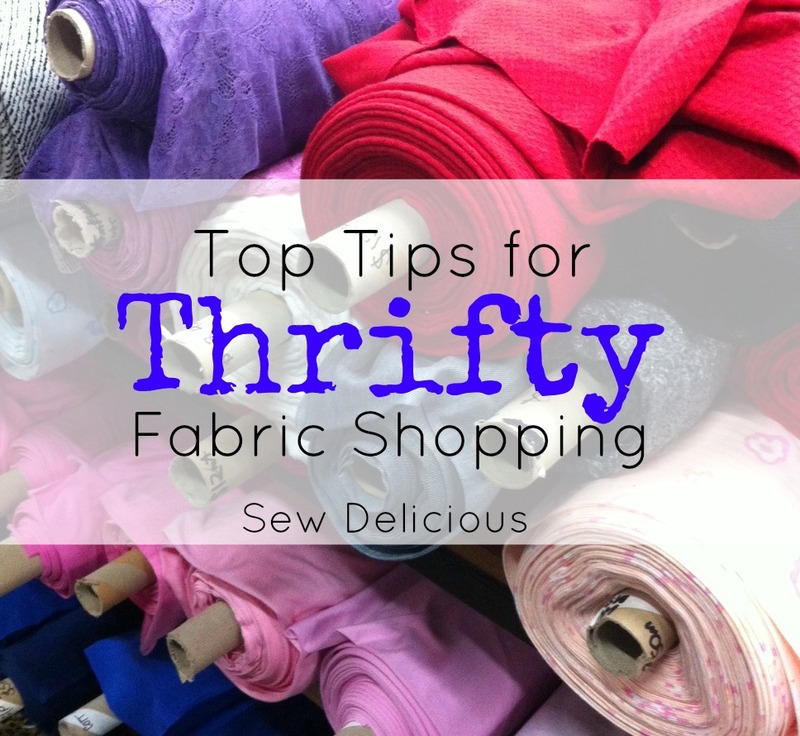 I am definitely a thrifty fabric shopper! I only buy from Spotlight when there is a sale. I would love to order fabric online but the shipping costs are always astronomical! Very informative reading Ros. I need to be more thrifty but as I sew for the business I often *need* certain things and certain amounts (remnant bins don't help here). I do try to buy in sales though. Another great tip is to look at Ebay, I can't tell you the buys I've gotten lately on fabric there, especially when buying in bulk yardage. Our local thrift store has a bag day. You can fill a bag for $6. 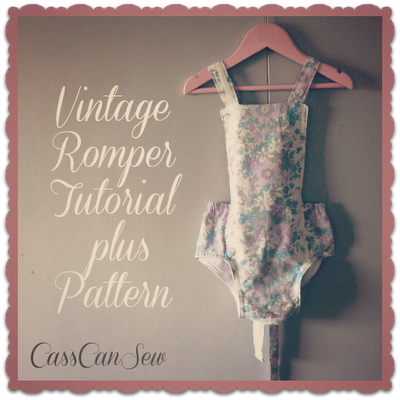 Since I do a lot of sewing for kids, it isn't too hard to find things that work great. Checking out the plus size dresses and jumpers is a great way to get something with plenty of fabric to work with. I also pick up some nice items at garage sales.